Unlike the vast majority of film festivals, the one up next on Manhattan’s calendar is devoted entirely to movies from a single country—in this case, il Bel Paese, or Italy. In fact for the past 17 years now, Open Roads: New Italian Cinema has been proudly offering New York audiences the most diverse and extensive lineup of contemporary Italian films. Sponsored by several Italian institutions, the mission of Open Roads is to showcase Italian cinema, providing an inside look into Italian culture, but also, of course, to garner wider distribution for its 14 feature-length films. As always, the series includes a mix of emerging talents and esteemed veterans, as well as both commercial and independent fare. Furthermore, it strikes a balance between outrageous comedies, gripping dramas, and captivating documentaries—all welcome alternatives to summer blockbusters. Showcasing eight North American and six New York premieres, the festival will take place from June 1-7 at the Film Society Lincoln Center - Walter Reade Theater (165 W. 65th St) and feature in-person appearances by many of the filmmakers. 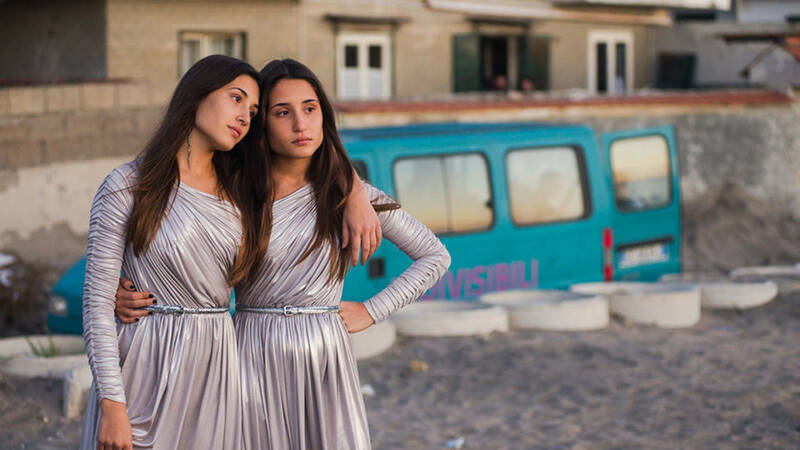 The festival will open with the New York premiere of Edoardo De Angelis’s award-winning Indivisible, a captivating tale about talented conjoined twins whose dreams for their futures start to diverge around their eighteenth birthday. The 13 additional titles set to screen include: At War with Love, acclaimed Italian TV personality Pierfrancesco Diliberto’s World War II–set satire; Federica Di Giacomo’s exorcism documentary, Deliver, which won the Orizzonti Prize at last year’s Venice Film Festival; Marco Tullio Giordana's Two Soldiers, the last in his popular organized crime trilogy; and The War of the Yokels, Davide Barletti & Lorenzo Conte's fable about a society at war, cast almost completely with children. See below for the complete lineup. Tickets go on sale May 4 at $9 for members, $11 for students and seniors (62+), and $14 for the general public. See more and save with the 3+ film discount package or the Open Roads All Access Pass. Learn more at filmlinc.org. Open Roads: New Italian Cinema is co-presented by the Film Society of Lincoln Center and Istituto Luce Cinecittà. Organized by Dennis Lim and Dan Sullivan, Film Society; and by Carla Cattani, Griselda Guerrasio, and Monique Catalino, Istituto Luce Cinecittà. With special acknowledgments to: Italian Trade Commission; Italian Cultural Institute New York; Casa Italiana Zerilli Marimò NYU; and Antonio Monda. 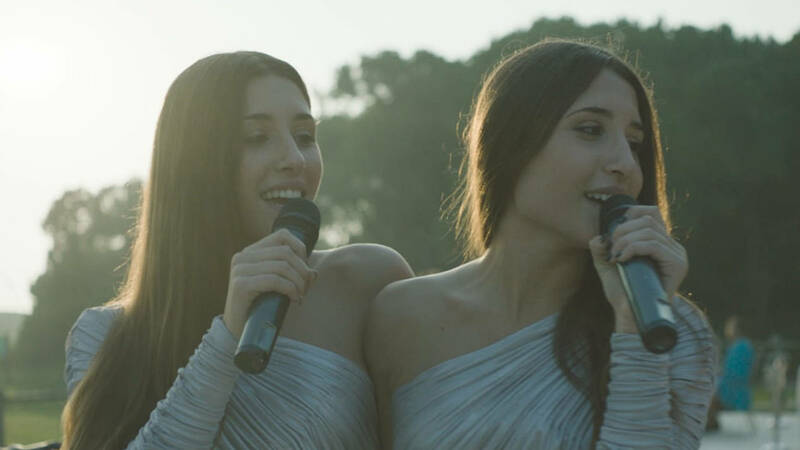 At first glance, identical twins Dasy and Violet (newcomers Angela and Marianna Fontana, in powerful debut performances) appear to have it all: they're beautiful, gifted with captivating singing voices, and they do not want for gigs around Naples. They also happen to be conjoined at the hip, which is shamelessly exploited by their parents and close friends for money. But on the cusp of their 18th birthday, Dasy falls in love and pursues a new life after learning she can be separated from Violet. Balancing the beautiful and the perverse with poise, and featuring a beguiling soundtrack by renowned singer-songwriter Enzo Avitabile, Edoardo De Angelis's third feature is a moving, eccentric fable about the pains of growing up, and the lengths to which one may go in order to fulfill a dream. The latest by Pierfrancesco Diliberto (a.k.a. Pif, Italy's renowned TV host and political comedian) is a tender comedy set against the backdrop of World War II. Sicilian emigrant Arturo (Pif) is in love with Flora (Miriam Leone), but she's betrothed to the son of a New York mafia boss. Arturo's only option is to ask Flora's father for her hand; however, he still lives in Sicily. Penniless but determined, Arturo takes a "free" passage to Italy by enlisting in the U.S. military at the start of the Allied invasion. Mixing history with outrageous comedy and political satire, At War with Love is like Forrest Gump by way of Mel Brooks—equal parts funny, charming, and irreverent. Introverted 17-year-old Giulio (Vincenzo Crea) is sent to an elite boarding school in the Alps. Contact to the outside world is limited, and the students—all troubled, some territorial and violent—are constantly surveilled by the administration (which includes an unctuous Fabrizio Rongione). Giulio forms an unlikely bond with the most sullen and rebellious student, Edoardo (Ludovico Succio), with whom he routinely sneaks off to a lascivious nightclub in the forest—but their nighttime excursions don't go undetected, nor are they as transgressive as initially thought. A twisted coming-of-age story tinged with elements of horror, Andrea De Sica's feature debut is a tightly wound narrative that defies convention. Roberto Andò reteams with Toni Servillo in this Hitchcockian mystery-thriller, a spiritual sequel to Andò's Long Live Freedom (a 2014 Open Roads selection). During a G8 summit in a luxurious German hotel, a trio of outsiders—a rock star (Johan Heldenbergh), a children's novelist (Connie Nielsen), and a laconic Italian monk (Servillo)—join the Group of Eight at the request of Daniel Roché (Daniel Auteuil), a powerful man with an obscure agenda. Things get even more mysterious when Roché is found dead following a clandestine meeting with the monk. Boasting a star-studded international cast and a perfect blend of suspense, international intrigue, and a subdued but biting sense of humor, The Confessions is a classically composed and wildly entertaining whodunit. A man wakes up with a painful ringing in his ear and to a note that reads, "Your friend Luigi is dead! I'm sorry. PS: I took the car..." But who's Luigi? This is just one of the many questions the unnamed protagonist (Daniele Parisi) must ask himself in this absurd tragicomedy by writer-director Alessandro Aronadio (One Life, Maybe Two, a 2010 Open Roads selection). Unfolding in a single day, Earsupsets a hapless man's routine with a series of hilarious, Kafkaesque situations involving meddlesome nuns, bumbling doctors, and a perplexing array of bureaucratic mishaps. 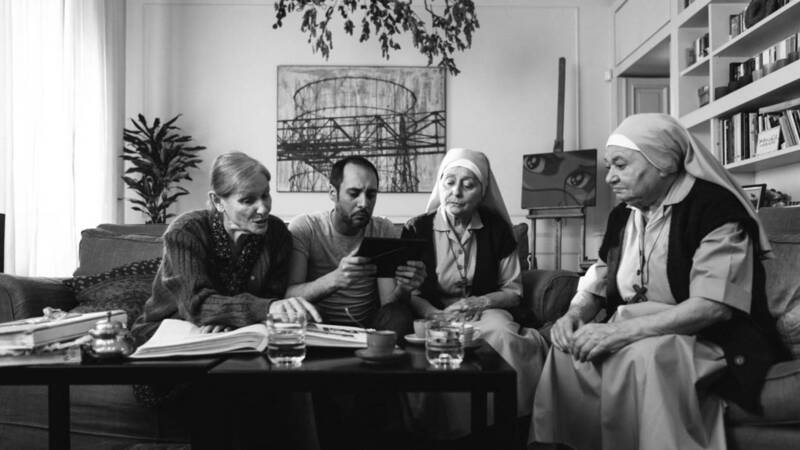 Aronadio's black-and-white, aspect ratio­shifting second feature is a one-of-a-kind comedy that surprises and delights with unassuming humor and a quirky supporting cast. 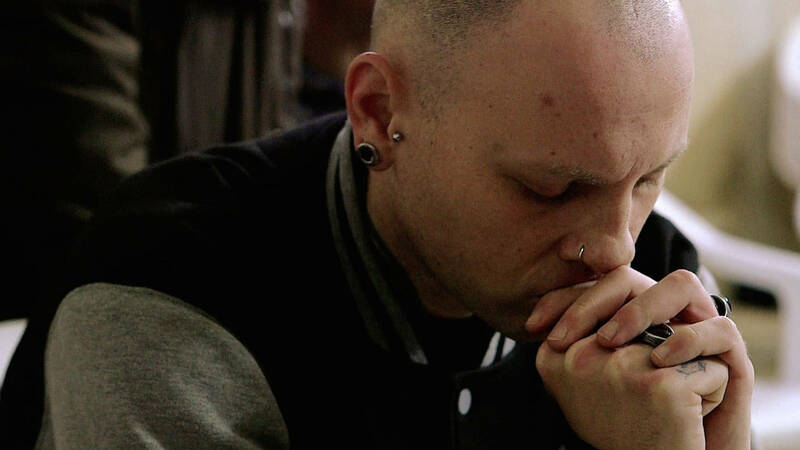 Stylishly blending social realism with a coming-of-age story, Claudio Giovannesi's third feature focuses on a blossoming romance in a juvenile detention center. Newcomer Daphne Scoccia stars as a tough but troubled young girl locked up after committing a robbery, and during her stint she meets Josh (Josciua Algeri), an inmate confined to the boy's ward in the neighboring building. Their prohibited interactions spiral into a forbidden yet innocent romance that provides an escape from their fraught personal problems. 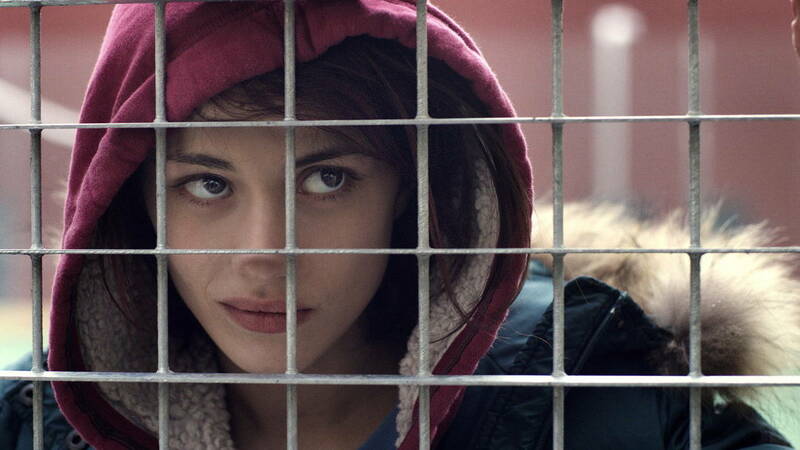 Fiore's measured treatment of troubled youth recalls the Dardenne brothers, but the film's assured visual style and breathless romance are entirely the invention of director Giovannesi. 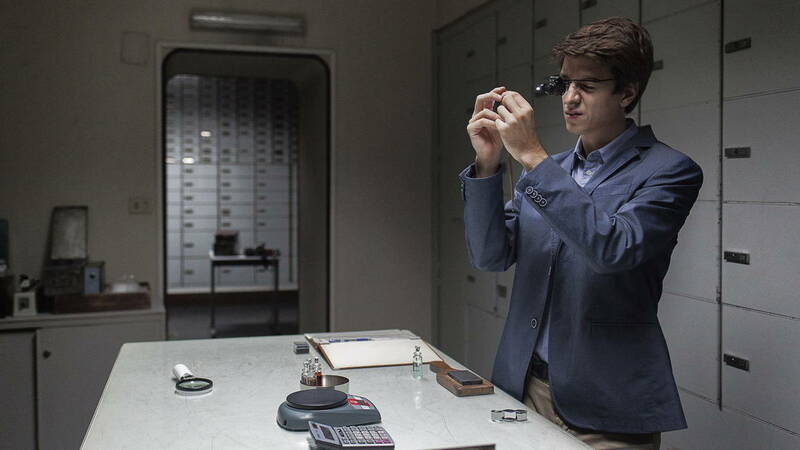 Irene Dionisio's debut feature is a gripping moral drama that weaves together the plights of three people connected to a pawn shop in Turin. Stefano (Fabrizio Falco) is torn between doing the right thing and keeping his new job as a pawnbroker after catching his morally bankrupt manager (Roberto De Francesco) deceiving customers, one of whom is Sandra (Christina Rosamilia), a transgender woman at odds with her past. Outside the pawn shop, Michele (Alfonso Santagata), a kindhearted family man, gets in too deep with some deceitful street hagglers who illegally buy up receipts from the shop's customers. Lensed by César-winning DP Caroline Champetier (Holy Motors, I Can No Longer Hear the Guitar), Pawn Street tackles complex themes of shame and redemption with naked emotion and vivid realism. In this tragic ode to urban living from writer-director Daniele Vicari, Eli (Isabella Ragonese) puts herself through a crushing daily grind—a two-hour commute from the outskirts of Rome that's slowly taking a toll on her health—in order to support her unemployed, loving husband and their children. 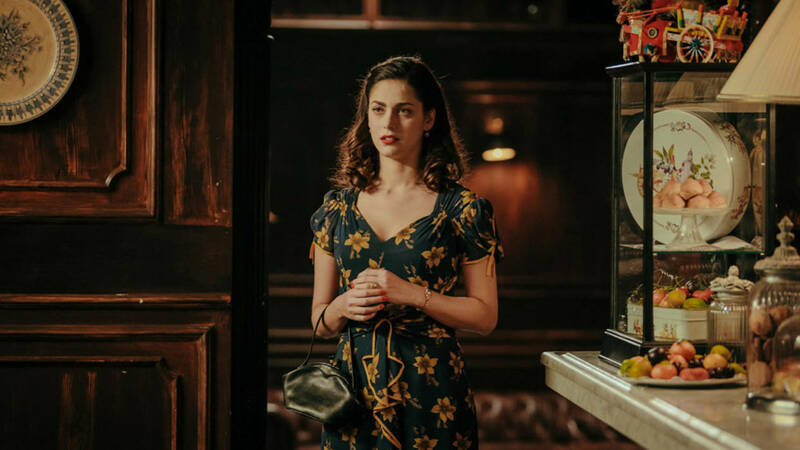 Meanwhile her lifelong best friend Vale (Eva Grieco in her debut role), a dancer living on her own, is faced with her own struggles after taking in a coworker who was beaten by her boyfriend. Beautifully blending melancholy with quiet joy, Vicari's latest is a sorrowful, sensitively observed study of straphangers caught up in life's unrelenting demands. 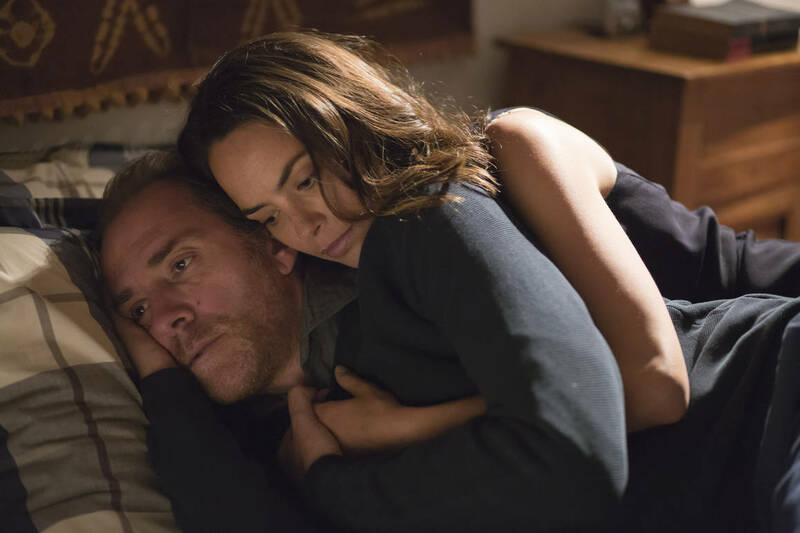 The latest from Marco Bellocchio is this delicate, melancholic, and deeply moving adaptation of Massimo Gramellini's popular autobiographical novel Sweet Dreams, Little One. Tracing a middle-aged man (Valerio Mastandrea) as he still struggles to come to grips with the sudden loss of his mother when he was nine years old, Sweet Dreams alternates between past and present, memories and dreams, effortlessly weaving together disparate elements of Massimo's life to yield a profound, poetic study of loss and maternal love. Gracefully photographed by frequent DP Daniele Ciprì (Vincere, Dormant Beauty), this is Bellocchio at his most emotional, but his signature sense of humor and irony are as strong as ever. The latest by Lamerica director Gianni Amelio explores loneliness, heartbreak, and complicated family relations in modern-day Naples. Renato Carpentieri stars as Lorenzo, an elderly widower estranged from his children who gradually builds a friendship with the new family next door—until a catastrophe pulls them apart. Loosely based on Lorenzo Moreno's Premio Strega prize­winning novel, The Temptation to Be Happy, Tenderness is a powerfully acted character study as well as an evocative portrait of middle-class Naples, beautifully filmed by Luca Bigazzi (The Great Beauty). A grieving woman unexpectedly comes face to face with Naples' violent Camorra in what could be considered the third installment of Marco Tullio Giordana's organized crime cycle—including his Golden Globe-nominated One Hundred Steps and 2015's Lea. Rising star Angela Fontana (one of the leads in Indivisible, this year's opening night film) plays Maria, a young woman planning her marriage to a soldier stationed in Afghanistan (Dario Rea), until his life is tragically cut short. After being left alone in their new, empty apartment, she crosses paths with Salvatore (Daniele Vicorito), a member of the Mafia who hides out in her condominium after a botched hit job. Giordana's latest is a complex exploration of grief and redemption that evocatively captures the rippling consequences of war. With an eclectic ensemble cast made up almost entirely of children, Davide Barletti and Lorenzo Conte's fable about a war between the ruling elite and lower classes, based on the novel by Carlo D'Amicis, plays like a cross between Lord of the Flies and The Goonies. No one really knows why the centuries-old war exists, but after the "yokels" of the underclass carry out a series of disruptive invasions, and bring in a ruthless outsider, things start to escalate violently. Meanwhile, the pitiless leader of the ruling class falls in love with a yokel and begins to question his role in the needless war. Set in the 1970s off the sunbaked coast of Puglia, beautifully photographed by Duccio Cimatti, The War of the Yokels is a rambunctious mixture of social satire, perilous adventure, and low-key fantasy, with energetic performances by its cast of young actors. In Marco Danieli's debut feature, Sara Serraiocco (Salvo) stars as Giulia, a smart young Jehovah's Witness whose lifestyle is put to the test when she meets Libero (Michele Riondino), an ex-con and son of a recent convert. As much as Giulia wants to pursue a future in mathematics (which goes against her religion), it's her unexpected attachment to Libero that pulls her from her community. Sensitively portraying the religious community, Danieli's first feature is an assured, wonderfully acted, and unpredictable celebration of individuality. Worldly Girl premiered at last year's Venice Film Festival, where Danieli won the Brian Award (given by the Italian Union of Rationalist Atheists and Agnostics) and stars Serraiocco and Riondino both won Pasinetti Awards for their performances.